Two trends in eLearning are converging, and this new combination might be the perfect recipe for success in employee development. On one hand, companies are increasingly moving toward mobile learning management systems (LMS). Workers today rely on their smartphones for anything and everything — including their own professional development — and employers want to ensure their own learning content is accessible on the go. One study indicates that 67 percent of companies now offer some form of mobile learning management to their employees. Simultaneously, HR departments are learning about the benefits of game-based learning. Games entice the reward-driven element of our brains, delivering a dopamine rush that encourages us to continue engaging. This is why Number Crunchers was so much fun in elementary school, even though it subversively tricked us into doing math. Gamifying learning and development is not always easy, however. I worked with one company that was trying to implement a gamified LMS, but employees were hesitant to engage with its learning materials. Staff members memorized the essential takeaways, but retention remained surface-level. Once this company introduced gamified learning, employee engagement skyrocketed. Something as seemingly insignificant as earning a badge or moving up a leaderboard was enough to encourage participation, deeper learning, and retention. Gamification is a brilliant move because it leverages our culture’s addiction to instant gratification. While gamification and mobile learning are effective on their own, they are exponentially more powerful when combined through mobile eLearning. Mobile devices are enormously popular for games, education, and entertainment. Bringing learning management systems to employee smartphones simultaneously harnesses the addictive power of Candy Crush Saga and the enriching material of their favorite news apps — all while offering the freedom to engage at any time, anywhere. Gamified mobile eLearning provides the perfect platform for progressive, bite-sized learning. Users can accrue points in a brief activity during lunch and build on that knowledge in the next session, perhaps while standing in line at the grocery store. This approach provides a distraction, expands comprehension, and delivers an instant reward. In many ways, it’s the perfect recipe for employee development success. Online training is only as good as its accessibility. Providing employees with mobile LMS apps allows them to access material wherever and whenever is most convenient for them. It puts their educational progress in the palms of their hands, enabling them to explore the material on their own terms and in ways that cater to their immediate needs. This sort of empowerment is far more exciting than watching VHS training videos in the break room. This is where real ROI comes into play for companies employing mobile eLearning gamification software. Consider GAME, the leading video games retailer in Spain and the UK. After the 2016 launch of its gamified GAME Learning Zone LMS, completion rates for sales scenario training rose to 89 percent. Better yet, the average customer basket size increased by 94 percent. The evidence bears out what we know by experience: Online learners are more likely to absorb, retain, and recall information when incentives are involved, and greater retention leads to greater results. Memories are more resilient when we fortify them with strong emotional connections. Gamification encourages friendly competition and ignites a passion for learning, bringing those emotional connections to bear on learning. Enterprise technology giant SAP took this to heart when searching for a way to better motivate and train its sales team. 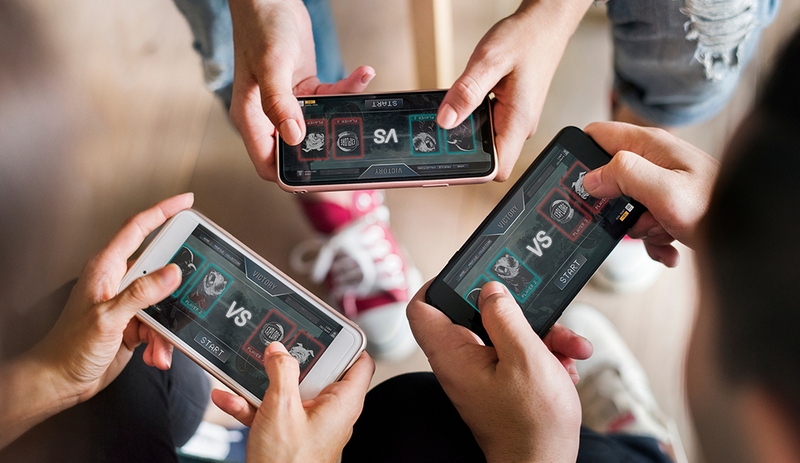 Instead of merely walking salespeople through the standard customer relationship management reviews, SAP created Roadwarrior, a gaming app that engaged employees in sales scenarios drawn from real-world experiences. Ongoing support is a critical component of employee satisfaction, and gamified mobile learning can provide employees with instant support resources that are as engaging as they are entertaining. While industry compliance information might not be exhilarating on its own, it’s possible to use gamification to create a more enjoyable way for workers to absorb that critical knowledge and feel empowered in their jobs. If upper-level managers are attentive to the culture of their organizations when implementing gamified learning, eLearning software can encourage camaraderie and collaborative learning. Mobile apps break down geographical barriers between coworkers, and lighthearted competition strengthens relationships. No one knows the job better than the employees, and the whole company wins when they are invested in training one another. The benefits of game-based mobile learning are countless, and many companies are reaping rewards from this synergy. A word of warning, though: Game mechanics and rewards should never overshadow or distract from learning. Gaming features should be designed to support development — not the other way around. Every company building an in-house LMS should leverage the benefits of this hybrid approach. By giving staff members a system that supports learning at any time, anywhere, and in any language, organizations can take employee engagement and development to the next level. Christopher Pappas is the founder of eLearning Industry. Connect with him on Twitter. Christopher Pappas is the founder of eLearning Industry, the largest online community of eLearning professionals in the world. Christopher established the company as a safe online community for eLearning professionals and instructional designers to connect and share their knowledge. Christopher holds an MBA and a Master of Education from Bowling Green State University.